South Devon Health Care tested a scheme at Newton Abbot Community Hospital for multiple sclerosis patients. Normally the patients would have to attend a clinic at Torbay hospital, approximately 10 miles away. The trial scheme to give people with MS access to services at Newton Abbot Community Hospital has resulted in fewer missed appointments. Missed appointments are expensive, what can be done? The Trust ran the pilot scheme for the three months. During this time South Devon Healthcare NHS Foundation Trust saw the number of missed appointments fall by just over 40% from the previous three-month period. As a result the specialist clinics will now continue. People with MS can find it very difficult to travel to appointments. Mobility and fatigue issues meant that appointments were missed at Torbay. At Newton Abbot patients will have access to a consultant neurologist, a specialist MS nurse and neuro-physiotherapist. 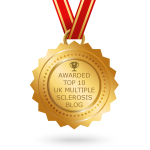 MS is a disease that can vary from one day to the next. Easier access for appointments is an excellent idea, fewer missed appointments is one benefit. An opportunity to see everyone in one place is also a big plus for the patient. I would like to see this idea for appointments introduced into more areas. Some parts of the country are very poorly served. I was recently told that there is no MS Nurse in Hertfordshire! So often the care and specialist knowledge can become fragmented. Knowledge of the patient and their history can be lost within the system because so many different specialists see the patient. This problem occurs quite frequently when the patient’s medical requirements call for coordinated care.